Why Do You Need To Take This Course? The dental treatment of snoring and obstructive sleep apnea is one of the fastest growing specialties in dentistry. Are you prepared to properly treat these patients? The management of sleep apnea with a dental appliance requires the dentist and staff to follow a very specific protocol in order to ensure legal compliance as well as medical insurance reimbursement for services offered. This is a life threatening condition from which many of your patients and people in your community are suffering. The dental treatment of this disease is one of the best overall treatment options, you need to be prepared to help. Are you currently making “snoring appliances” for patients? If so you NEED to take this course. Did you know that over 70% of the time loud snoring is indicative of the presence of sleep apnea? Did you know that treating the snoring alone may not manage the apnea at all? It is imperative that all snoring patients (Roughly 40% of adults) be evaluated for a sleep related breathing disorder, many of them are suffering and do not know it. The seminar will teach you and your team a comprehensive dental sleep protocol from A to Z. This is not an intro course with information left out or a teaser for more courses. When you leave the course you’ll be prepared to implement this service in your practice immediately. The SGS sleep medicine protocol and network of board certified sleep physicians is not available anywhere else. We have grown to be the world’s largest dental sleep medicine company because the information you’ll learn at our course works and works well. We look forward to helping you, your patients and your community with this service. We strongly encourage you to bring your staff to the course. For successful implementation of this in your practice it’s critical that every team member understands the protocol and has a role to fill. Your front office team needs to understand the appointment flow, medical billing procedures, phone call scripts and they are often the first line for marketing. Your hygienists can generate sleep apnea leads daily by simply asking a few questions during their exam and conversation with patients. Your assistants are often the ones doing the screening, clinical workup, preparing tests, evaluating airways, taking bites and clinical records for appliances, assisting with appliance delivery and more. Hands on working with popular oral appliances like the TAP, Respire, EMA, SilentNight and more! Sleep Group Solutions has successfully trained thousands of dentists worldwide on how to properly implement a dental sleep medicine program in their practices. Pioneers in Dental Sleep Medicine education, instrumentation and in-office training SGS offers the industry’s most comprehensive selection of Dental CE courses. Join us at one of over 75 seminars nationwide. In 2006 the American Academy of Sleep Medicine stated that oral appliances are a viable first line treatment option for patients who prefer them over CPAP to treat sleep apnea. 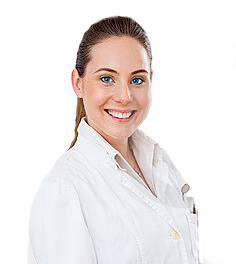 Since then, the dental treatment of this deadly condition has rapidly risen in popularity and this service has become a lucrative part of many dental practices in North America. Sleep Group Solutions can help you implement integrate dental sleep in your practice. During the lecture, an SGS Dental Sleep Medicine Expert will present a review of signs & everyday symptoms you and your staff can easily identify. The instructor will review an evidence based and proven protocol to take symptomatic patients and put them through a diagnostic process involving both laboratory and home based sleep testing as well as dental office evaluations. Bite registration, appliance variations (hands on samples) and insurance billing options will also be discussed. Attendees will be given forms and documentation needed to immediately begin screening their patients and identifying those at risk for sleep disordered breathing. View the dates & locations of upcoming courses.